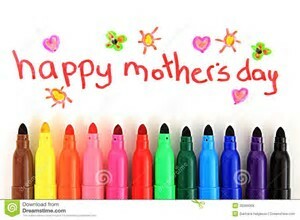 First of all, to all the mothers among you, we wish you a Happy Mothers Day and to all others, a great Sunday! 4-Week Summer I classes in Houston at various class levels from June 5 to June 28, Monday and Wednesday mornings (10:00 – 11:30 a.m.) and evenings (6:30 – 8:00 p.m.). The cost is $310, and also by popular demand, we charge NO REGISTRATION FEE! 4-Week Summer II classes in Houston at various class levels from July 10 to August 2, Monday and Wednesday mornings (10:00 – 11:30 a.m.) and evenings (6:30 – 8:00 p.m.). The cost is $310, and also by popular demand, we charge NO REGISTRATION FEE! In The Woodlands, we will offer German classes for adults during the summer. We will send you information about these classes later in the week. The Houston classes will be put online later tonight or tomorrow morning for registration, and registration will be open for the 2-Week August Intensive Classes and the 10-week fall classes as well. Information about these classes will be posted later in the week, and registration will be opened for the summer and fall German classes for children and teenagers. And if you know a graduate student who needs to demonstrate his proficiency in a second language or in German by the fall, do send him this link: http://germansouthwest.org/2017/05/05/reading-and-translating-german-texts-in-5-weeks/. Have a wonderful Sunday, and call me (after Sunday 🙂 ) or write to me, if you have any questions.